When we had children Valentine’s Day took on a different dimension. When they were very young and went to bed by seven, we would make a nice dinner to celebrate. The last couple of years we turned our Valentine’s Date night into a family Fondue dinner. 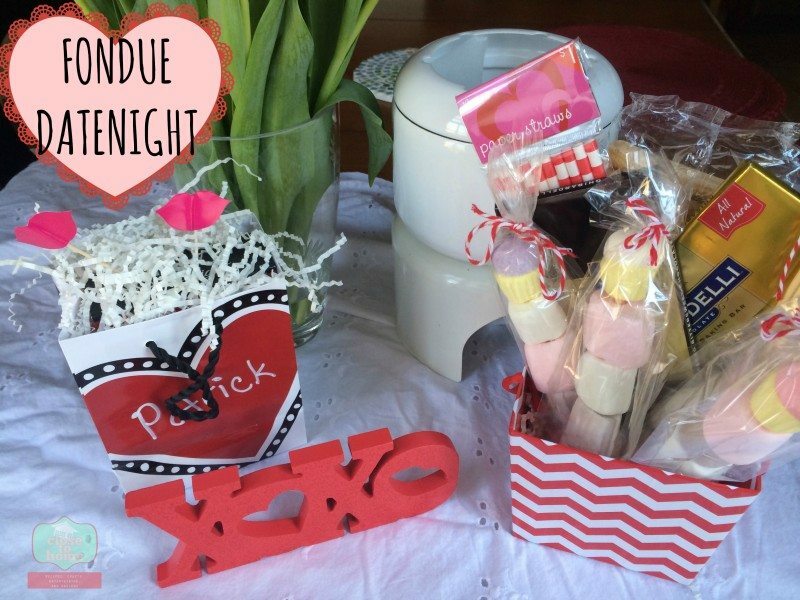 Today I will be sharing our Fondue Valentine’s Date Night ideas and necessities, for both during and after dinner with the family. We don’t buy presents for our kids on Valentine’s Day, they get enough from their classmates, but this year I decided to give a family gift of the all the necessities for a Fondue Date Night with a little intimacy twist for Hubby and I. Thanks to this shop from Collective Bias, I headed to our Wal-Mart to collect all the supplies for this Fondue Date Night in with the family. Who knew there were this many different marshmallows. 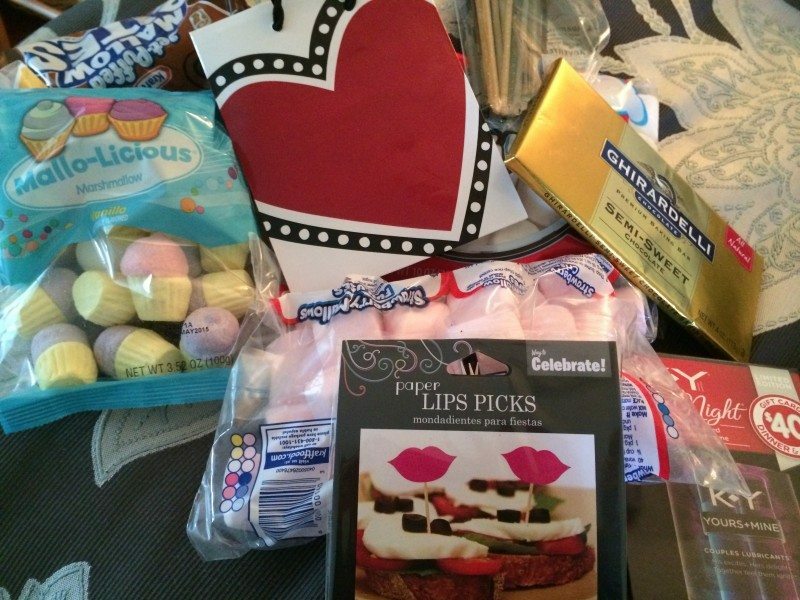 I picked up some great chocolates and cheeses to make both a savory and sweet fondue. I also decided this year I would pick something special for after the kids go to bed to extend our Family night into an adult date night in. 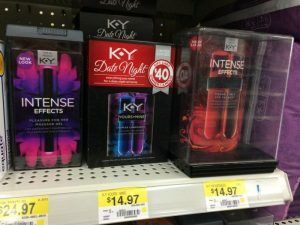 For this shop I found this KY Date Night package in the incontinence section of Wal-Mart, a little Ironic don’t you think!! 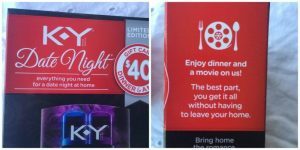 Check this out, thanks to the Vudu.com and plated.com we can enjoy another date night in with these great coupons attached to each package. Sounds like a win win situation don’t you think? Don’t be ashamed to use an intimacy enhancement product. What a great date night in idea for another time. OK back to the Fondue night…. Back at home I decided to set the stage for our Family Valentine’s Night. 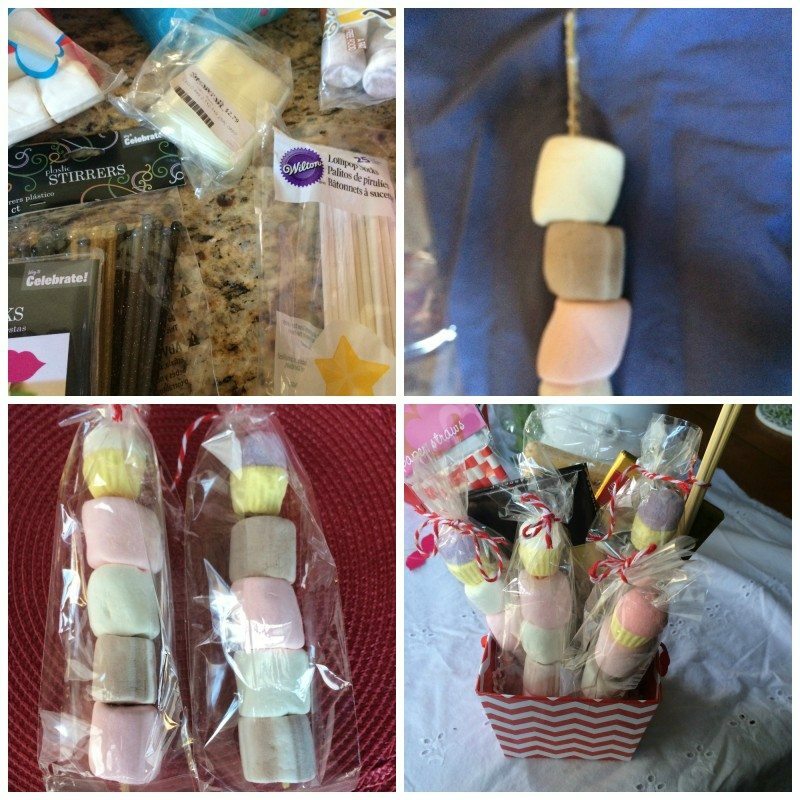 I assembled these fun marshmallows into individual skewers for the kids. Filled a decorative basket with the chocolates, marshmallows, cookies, Skewers and straws to let the kids know we will be hosting our annual Family Fondue Night again. Shh, don’t let the kids see, but I also filled with Dad’s special treat for our KY Date night later!! Since my kids are old enough to read, the Valentines gifts will be presented separately. I will have Hubby’s gift waiting on the side table in our room. Seems more appropriate than our kitchen table, plus it will be waiting for him after the kids go to bed!! What are your plans for Valentine’s Day? 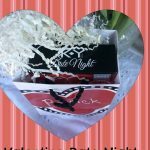 Do you have a family or couples Date Night? 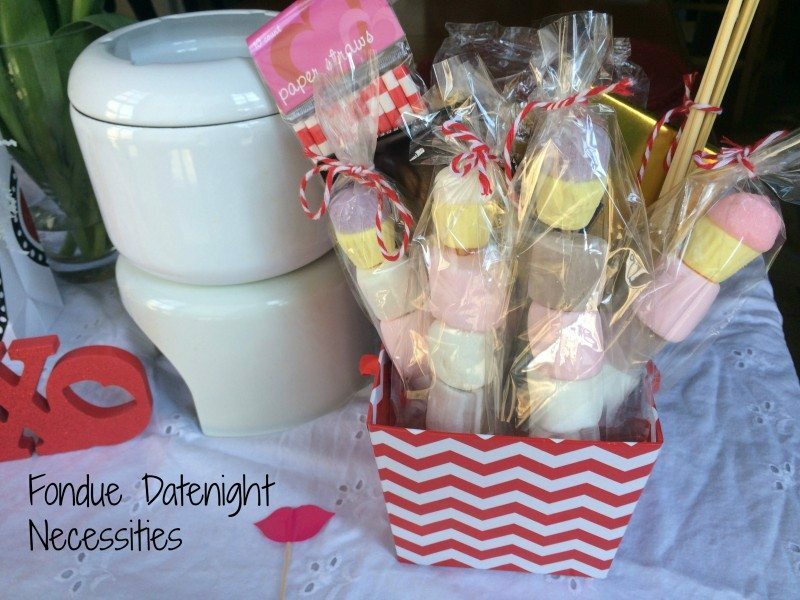 Some fantastic idea for a date night ! I love the whole fondue idea very nifty and something I just might use myself! Chocolate is my favorite but since it is dinner too we add the cheese! My husband is often to around and we schedule special events the weekend before or after. Thanks Nicole, the kids were going crazy over them when I was getting ready for the post…. 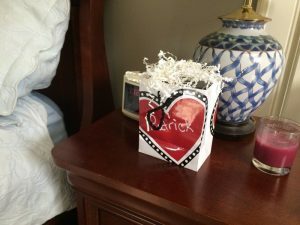 Love the movie at home basket, we so often watch movies together might as well make it a special night. I hope he picks up dinner, if not order pizza!! Fun idea to celebrate the olympics, never thought to do that. We aren’t doing anything for Valentine’s Day. We’re celebrating the Olympics, instead, the week before with a family get together. V-day I spend at home with my family :). I do get my kids gifts this year I”m planning on putting together a movie gift basket. That way its more like a family gift. I’m hoping my hubby picks up take out so that way I at least don’t have to cook!! I love these idea! I never know what to do for the holiday! Thanks so much for sharing! Those marshmallow kabobs are fantastic! Love that idea.